Bluetooth first appeared as a consumer technology in 2000 and it is still going strong. It's a wireless communication protocol for connecting devices through the air - it's slower than Wi-Fi but is often simpler to set up, and is usually preferred for device-to-device transfers. With just about every smartphone out there supporting Bluetooth, it's become the default way for connecting up speakers, headphones and other devices to phones without wires. It works across plenty of other devices too, including printers, remotes and computers. As with Wi-Fi, Bluetooth standards continue to improve, speeding up transfer times and reducing power use (very important for portable devices). The technology is likely to play a significant role in the growing Internet of Things market in the years ahead as well. First conceived in 1994, the original purpose of Bluetooth was simply transferring data without wires. You can amaze your friends at the next pub quiz by telling them it's named after a Danish king who united Denmark and Norway at the end of the first millennium. Appropriately, unification (in terms of connecting disparate devices) was one of the ideas behind Bluetooth. It was invented by a team of engineers working at Ericsson in Sweden before being adopted by the tech community at large and officially launched in 1998. The next year the Bluetooth 1.0 standard was established and in 2000 we saw the very first Bluetooth headset. Mice, keyboards, smartphones, printers, hands-free car kits, laptops and more followed suit, as did successive versions of the Bluetooth standard. Now we're up to Bluetooth 4.2, with Bluetooth 5 just around the corner, and manufacturers are still finding new ways to make use of the technology - from automatically syncing data from your fitness band to unlocking your smartphone when it detects another trusted Bluetooth device in range. 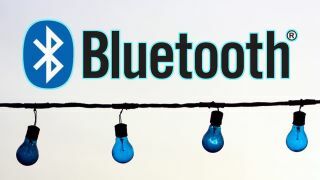 The Bluetooth Special Interest Group (SIG), originally made up of five companies, controls the development of the technology - the members of the Bluetooth SIG now run into the tens of thousands, and Bluetooth shows no signs of fading from the scene just yet. Bluetooth is designed to be as easy to use as possible which means a lot of the technical aspects of the technology are hidden away from users - at most you'll have to enter a PIN code when you're trying to get two devices to sync up together. The most recent Bluetooth 4.2 standard (Bluetooth 5.0 is due out soon) lists a maximum theoretical speed of around 2.1 Mbps and a maximum theoretical range of 100 metres (about 330 feet), but in practice you're going to get slower speeds and shorter ranges. Bluetooth uses a closed-off network of 79 bands of radio waves. Bluetooth devices have the capability to automatically detect each other and you can connect up to 8 different devices at once, all without using up too much valuable battery power along the way. There are two flavours of Bluetooth, Bluetooth Basic Rate/Enhanced Data Rate (BR/EDR) and Bluetooth Low Energy (LE). Bluetooth BR/EDR is more limited in terms of range but is more suitable for keeping up a continuous connection (for streaming audio, for example). Bluetooth LE has more potential for Internet of Things (IoT) use, where briefer bursts of data are required, and where power conservation is more important. It's also cheap to implement, which is why it's managed to find its way into so many consumer gadgets. Bluetooth and Wi-Fi are both used to transfer data wirelessly, but they're actually very different. That said, the two technologies are now battling it out to be the dominant standard for the growing number of IoT and smart home devices appearing on the market. Bluetooth works best for device-to-device connections and creating ad hoc networks anywhere (called piconets). Wi-Fi, meanwhile, is better suited for creating wider networks based around one central source - usually the router box installed in your house. Bluetooth is simpler to set up and doesn't use up much power but has a shorter range and is slower - binge watching Netflix is usually out of the question. It's best used to complement Wi-Fi for keeping smaller devices (like your mouse and laptop) linked. Both standards are evolving all the time: the new Wi-Fi Direct is designed to bring some of the benefits of Bluetooth to Wi-Fi, for example, removing the need for a central access point (your router) and making it easier for two devices to connect directly to each other. Bluetooth 5, meanwhile, will bring with it better support for navigation technologies and location sensing, as well as doubling the speed and quadrupling the range of Bluetooth LE. Despite its illustrious history, the best days of Bluetooth may still be ahead of it.